At Bernell Hydraulics, keeping your hydraulic system in peak working condition is our main priority. We will do whatever it takes to achieve this, from helping you service and maintain your equipment on site to recommending the right parts for your system’s operational requirements. We often recommend Parker hydraulic components in Whittier CA for their long history of outstanding performance. 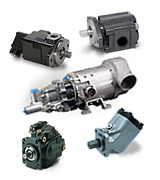 At Bernell Hydraulics, we can help you get the fastest hydraulic repairs possible. If you can bring the failed component to our store, we can help you find a matching replacement. If you can’t come to us, we can come to you. You can rely on our techs to help you diagnose the problem correctly and help you find and install the perfect Parker hydraulic components in Whittier CA. Because we keep so many Parker parts in stock, you stand a good chance of getting your hydraulic system back up and running in no time flat, even if you use metric parts.